It's been AAAALLLL about kitchen organising around these parts lately! 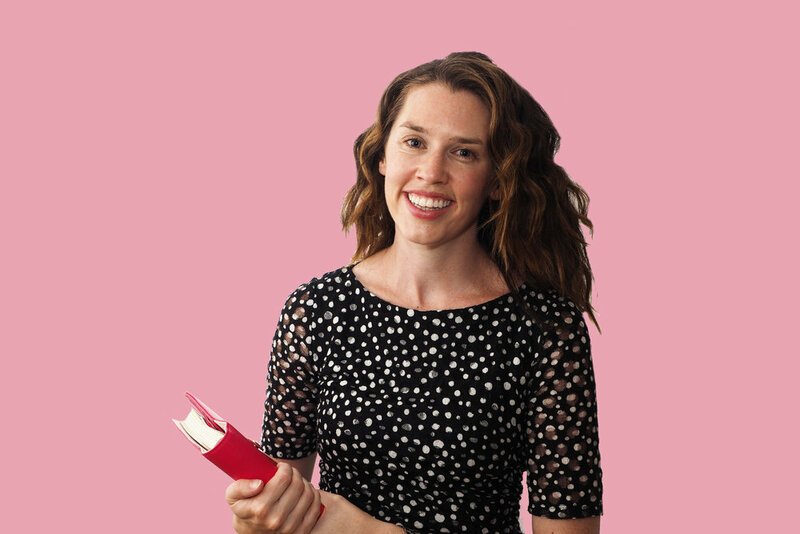 And it's no surprise that with the release of my new guide Clever Kitchens, giving you heaps of tips and effective strategies for getting your kitchen more organised has definitely been my mission! 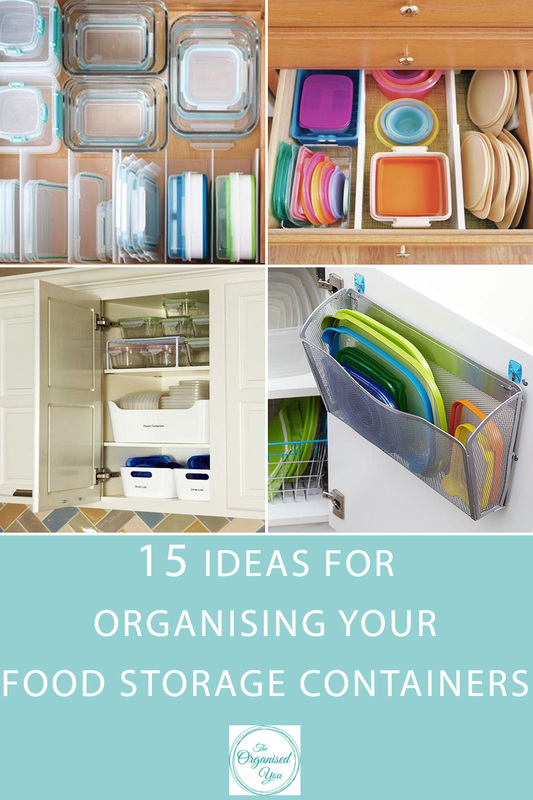 I am obsessed with kitchen organisation, and for good reason: I know that getting your kitchen organised can save you a serious amount of time, effort and energy on a daily basis. A well-organised kitchen is going to leave you feeling more calm, content and happy. It might seem strange to claim that an organised kitchen will make you feel happier, but I can honestly say, from both client and personal experience, that this is completely true. Because you spend so much time in your kitchen, having everything easy to find and easily accessible will cut down on your preparation, cooking and clean-up time. This gives you more quality time to be doing the things you really want to do! When everything is working for you in a space, it will inevitably make you feel more content and energized. The kitchen is what many would consider 'the heart of the home', so it makes sense to have this space working for you as efficiently and effectively as possible. Right? Today I'm rounding up all my kitchen organisation posts - I've shared loads of clever tips over the last few years. 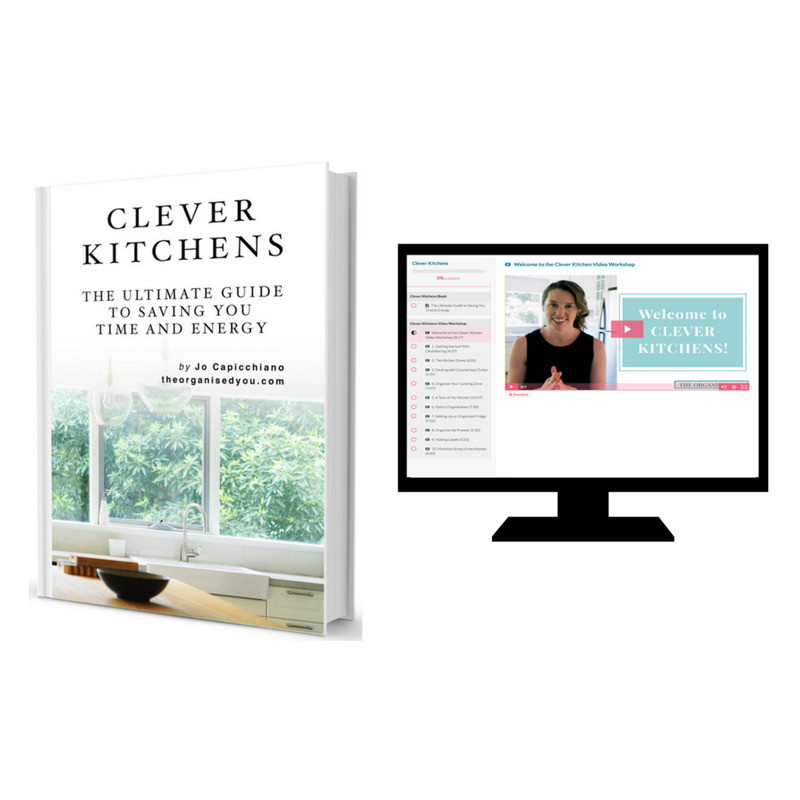 But my new guide Clever Kitchens is the best place to start because you'll find all my best organising strategies in the one place. In the guide, I'll walk you through the step-by-step process for setting up an efficient kitchen that really works for you, saving you time and energy; a space that you'll truly LOVE spending time in. There's even a Video Workshop to go with the guide, that shows you exactly how I set things up in my own kitchen, and how you can implement some of the same techniques in your own space. 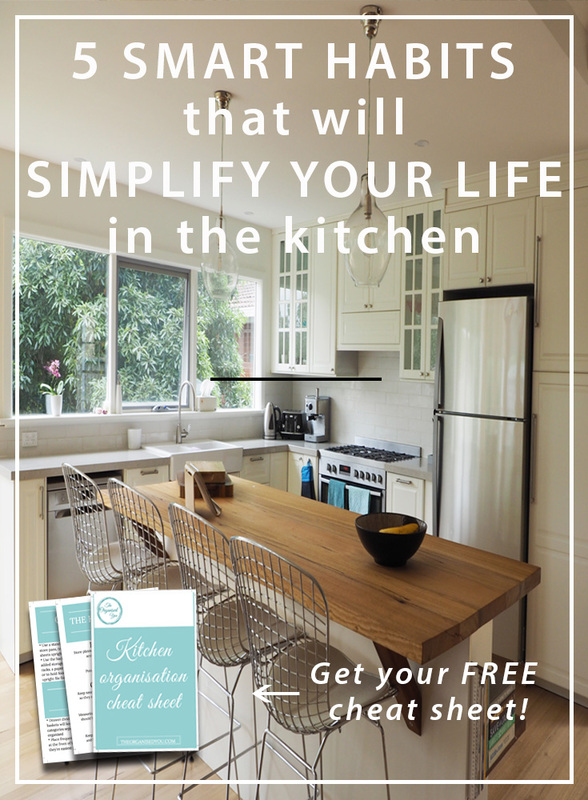 In past blog posts, I've shared some smart kitchen organising strategies, including 3 common mistakes to avoid; 5 smart habits to simplify your life in the kitchen; and 3 proven strategies to restore calm to your kitchen. And I've rounded up the benefits of having an organised kitchen so you know just what a worthwhile practice it really is! 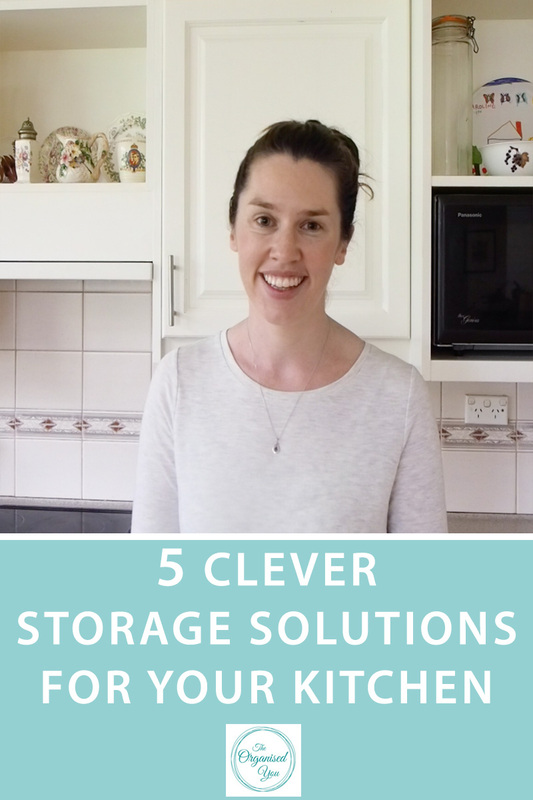 Good storage solutions are so important in any kitchen, and I rounded up some inexpensive yet effective ones in an episode of The Organised You TV. I also shared my easy 4-step process for reducing stress in the kitchen (hint: it's all about spending LESS time at the supermarket!). 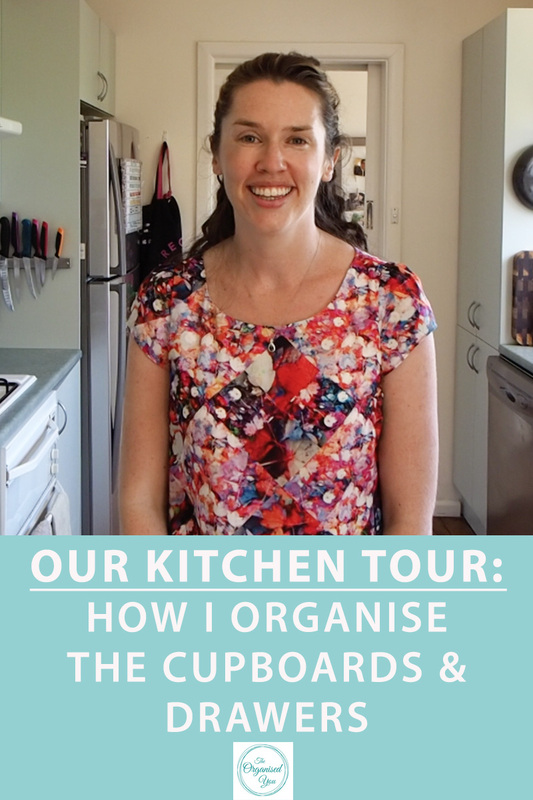 Although my family has been in our new kitchen for a good 4 months now, many of my organising tips and strategies are based on our previous kitchen, which had less storage and less bench space. However, I really learned to work with what I had, and along with a few clever storage solutions, I had it set up in a way that worked well for us for over 9 years. Here's the full tour of that kitchen; a look at how I organised our spices; and a clever storage solution for knives. Having an efficient and cost-effective fridge all comes down to some clever strategies. 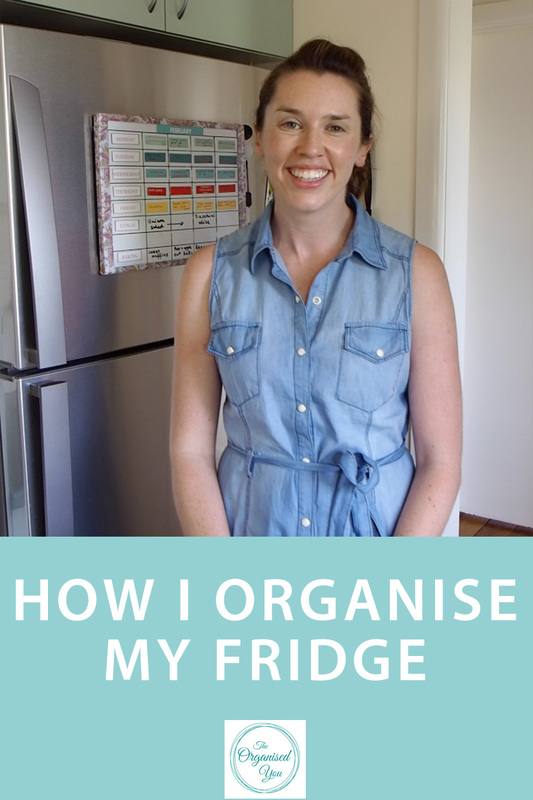 Not only will having your fridge organised save you and your family time and energy on a daily basis, it can also save you money as you'll be throwing out less wasted produce and actually using up the items that you have purchase. I originally set up my fridge with handy pull-out baskets and glass containers, but after investing in some fantastic new storage solutions, I now find the life of the produce is even longer, which in turns saves us money. I absolutely love this new set up and it's something you can achieve too by following these 10 simple steps. Having an organised freezer is another important element in an efficient kitchen. The biggest benefits are being able to save money on groceries, having food ready to go on those busy nights, and having the items you eat most regularly stocked up so you don’t run out. If you think of your freezer as an extension of your pantry - a place to store the staples you and your family commonly eat - it will make your cooking more efficient and cost-effective. I originally organised my freezer using labelled baskets and flat-stack containers. However, with the addition of a second freezer for storing meat, I had a bit more freezer room to play around with. I shared the new set-up in this video. 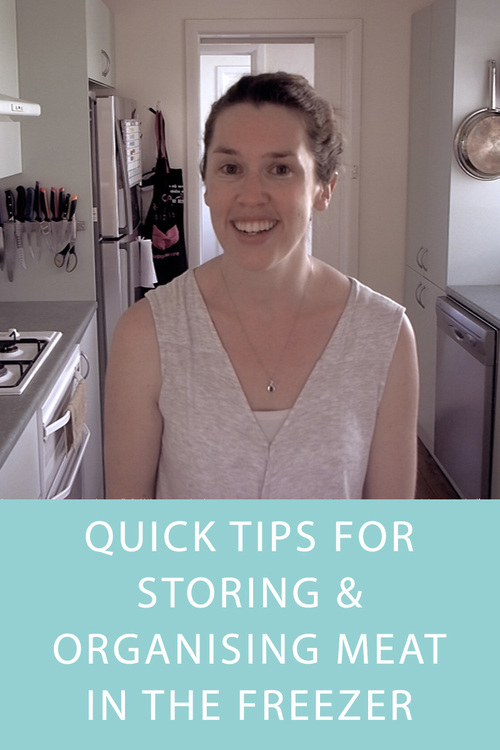 If you're looking to get your pantry working much more efficiently, here are some posts that might help you out... my video on tips for an organised pantry; the best organising products for your pantry; and some organised pantry inspiration. If the dreaded plastics collection cabinet makes you want to scream with frustration, I've got your back! Here are 15 ideas for organising the food storage containers; and a step-by-step guide for decluttering and getting them organised. Finally, I've shared a few kitchen makeovers on the blog - both personal and client spaces. Seeing the exact step-by-step process I go through might give you some ideas for your own kitchen. Here is a full kitchen makeover I did for my sister-in-law, and a butler's pantry makeover I completed for a client. Newer PostAnnouncing: A new segment of The Organised You TV!